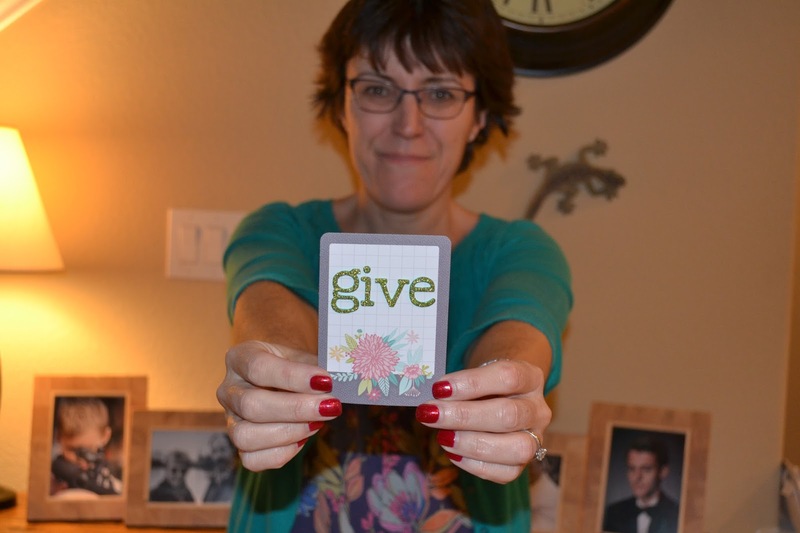 After two words in 2014, our One Little Word has morphed back into one: give. This year, it was chosen by me. By coincidence, it’s the same word that Ali chose. Those four letters offer up a lot of potential. Those last three lines may sound negative, but I think they could be the exact opposite. For giving up on squandering time. For giving away things not used, needed or wanted. For giving in to the things I cannot change. 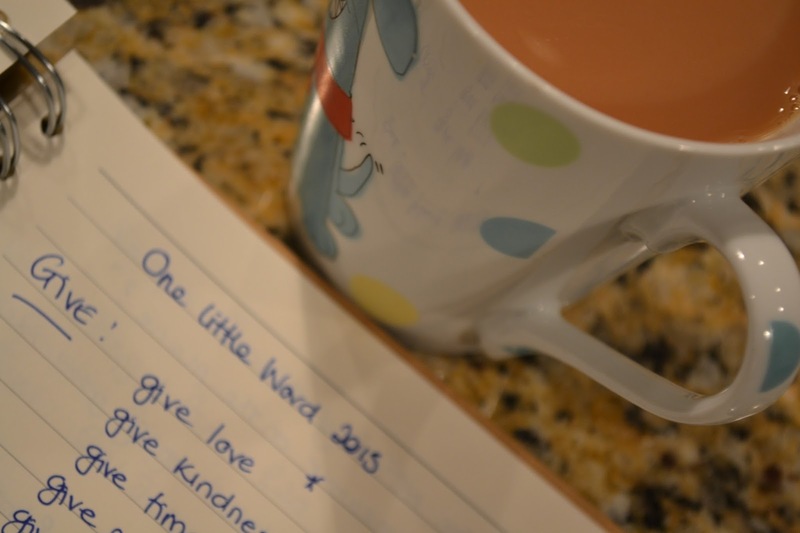 One Little Word is an original idea from Ali Edwards and you can read more here. You look very determined with your word, Ruth, and I hope it brings you great energy and change where you feel you need it. It sounds good that you got to choose it this year. I thought you really captured and enjoyed last years words. Give sounds great. Have a great year. Happy 2015. I hope you GIVE yourself credit for a great blog where you bring much insight & humour to many. Thank you. ..and I like and am repeating the previous comment. Give yourself credit! I found the last three to be very powerful. I am sure all three of you will embrace your word with wonderful results. That's a great word Ruth, and powerful in all the ways you describe it.